This school year finds us repeating some very worthwhile community projects. On Saturday, December 8th Ms. Sheidler, once again, suited up to participate in the One Warm Coat 4 Mile & 2 Mile Run/Walk by Mt. Carmel Lewis Center for One Warm Coat. “Everyone Should Have One Warm Coat”. With the generous support of our families, she was able to unload her car with bags and bags of donated coats, scarves blankets and gloves; and she crossed the finish line in record time! Our sincere gratitude to all our families who participated to help make this such a success. In December, we also carried on the tradition of collecting food items for St. Stephen’s Community Center. The donations were collected to make Christmas food baskets to be distributed to those in the community. Once again, our families opened their cupboards and pantries to those less fortunate. Our hallway was filled to the brim with needed canned goods and non-perishable food items. St. Stephen’s is always so appreciated of our support as they extend a heartfelt letter of gratitude to our school’s families’ generosity and giving spirit. Our children learn much from this experience. It is difficult for them to understand that some children, even in our community, are hungry and lack a good breakfast, lunch or dinner. Thank you families for helping to fill the baskets and a child’s empty stomach. With the turn of the calendar and into 2019…..Mrs. Hogue and Mrs. Bennett’s class coordinated a collection of “Go-Bags” to donate to the Shelter at Worthington United Way. The goal was to fill 100 – 2 gallon bags with items such as; socks, toothbrushes and toothpaste, wash cloths, hand warmers, water, nutritional snacks and chap stick. Each bag was filled in excess and the extra donated items were given to the shelter to help restock their shelves. The students made special notes to put in each bag and it truly was a hands on experience with the children stuffing each bag with all the wonderful, so needed items. They soon understood that not all people have the simple necessities of life – water, warm socks and warm hands. Thank you to our wonderful families for making this such a rewarding project – in more ways than one! You are terrific! The first month of school gave us the perfect opportunity to begin our community service projects. With Hurricanes Harvey and Irma taking their toll in Texas and Florida, the American Montessori Society (AMS) created a “Rebuild Your School” campaign to help Montessori schools in need in the affected areas. The funds collected in the campaign were matched by AMS and additional funds donated by Nienhuis Montessori (a Montessori materials company). We talked to our children about the hurricanes and how we can help other Montessori schools in need by collecting coins. This was a wonderful opportunity to spread peace and kindness through the community. Our children loved bringing in their coins and with the help of some very generous parents our final tally amounted to $600.00. 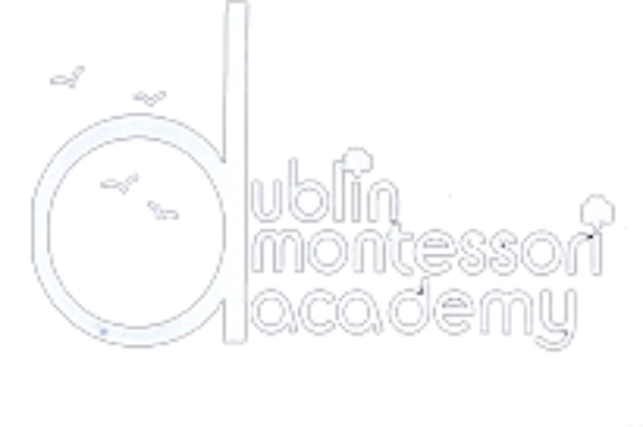 So, as always, thank you Dublin Montessori families, for opening the piggy banks, the extra change from your cup of coffee and the loose change in your pockets! You really made a difference! December found us again renewing our promise to St. Stephens Community Center. The collection of can goods and food products helped supply the needs for the food baskets which are distributed through out the community. For those family who find themselves with less and less this time of year. The foyer was overflowing with food donations. St. Stephens is very grateful to the families of Dublin Montessori for their boundless spirit of giving. Also in December, on a very cold Saturday, Miss Sheidler (our in house marathon runner) registered for the Mt. Carmel Lewis Center four mile run to support One Warm Coat. Again, it was not only Miss Sheidler who easily crossed the finish line successfully, but all our wonderful families who donated gently used coats, hats, mittens and scarves to this well known organization. She collected and delivered several large bags of warm, usable, outerwear to be distributed as needed in the community. Again, thank you!! Once again this year we are looking forward to participating in a variety of community service projects. We are excited to start the new year continuing our relationship with Abbington Assisted Living Community. We will keep you informed of the activities and opportunities in the upcoming months. We would love to see the smiles on the children who got to pick out their very own Halloween costume! Thanks to our generous families who donated over 50 costumes and accessories. The children were able to go to the Welcome Warehouse and select from a variety of characters whether it be a dinosaur, princess, pirate, super hero, fire fighter or a police officer! Halloween is for the children and it is a very sad time if a youngster is not able to dress up and pretend! Your acts of kindness go a very long way to make a child’s life just a bit happier. Thank you!